Financial stability is the end goal for everybody. This is particularly the case for parents because you suddenly face expenses that stretch beyond your own needs. A lot of people struggle to adapt to the financial responsibilities that come with adulthood. Money management is always easiest when you’re a teenager who doesn’t have to make mortgage repayments or deal with debt. Your earnings from your part-time job went towards fun things back then. But who’s to say you can’t still treat yourself to luxuries as an adult? Make 2019 the year in which you finally sort out your finances. Here are a few suggestions. Tidy up your spending habits. As discussed in another article, but cutting down on unnecessary expenses is one of the best ways to get your money in good shape. And we’re not just talking about foregoing luxuries. As mentioned in the introduction, you’d like to be able to treat yourself from time to time. True financial security doesn’t come from cutting corners but rethinking your costs. In terms of your necessities, you could be saving a lot of money. You could save money on energy by switching suppliers and insulating your house, for instance. You might even want to check out https://budgetboost.co/how-to-get-free-cable-or-lower-your-bill/ for advice on getting free cable or reducing your monthly fee. This is a great example of a service that costs many people much more than is necessary. Tidying up your spending habits is about getting the same essential things in life but simply paying less money. It’s as simple as that. Do your research. Always save a little for the future. If you took the earlier advice in this article and reduced your monthly spending then you should have more available income on a regular basis. As mentioned in the introduction, that gives you more of an opportunity to buy luxuries and treats for the family. But it also gives you an opportunity to put more money aside for savings too. After, fiscal responsibility involves an ability to prepare your finances for the future as well as the present. That way, you won’t have to worry about your financial situation a few years or decades down the line. With better money management today, you can build up more wealth for tomorrow. Think about the future expenses you could more easily cover with a little bit of planning and preparation. For instance, saving up on a regular basis will give you more money to put towards your retirement and a college fund for your children. You should think about the costs in life that you can’t predict. Unexpected medical bills, household issues, or car breakdowns are examples of surprise expenses that can be faced better with an emergency fund designed for such occasions. 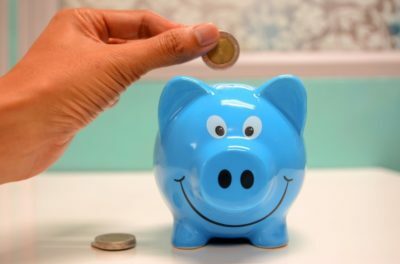 As explained at https://americasaves.org/for-savers/make-a-plan-how-to-save-money/54-ways-to-save-money, setting aside money for emergencies will make you financially better off. Otherwise, that money would have gone towards non-essentials. You need to be prepared for the future if you want sturdy finances.